Earl Zero is a foundation of the roots reggae scene of 70's jamaïcan reggae. He begins his career in the group Rush-it with Earl China Smith. He records for producer Bunny Lee who gives him the name Earl Zero to distinguish himself from Earl Smith. His song None shall escape the judgment don't went release and Bunny Lee produce it with Johnny Clark in 1974 and make a hit. After that Earl Zero works with different producers like Al Campbell, Tommy Cowan, Bertram Brown and his song City of the weaked is covered by Jacob Miller on his album "Jacob Killer Miller". Earl Zero finally release two albums in 1979: "Visions of Love" and "Only Jah can ease the pressure". 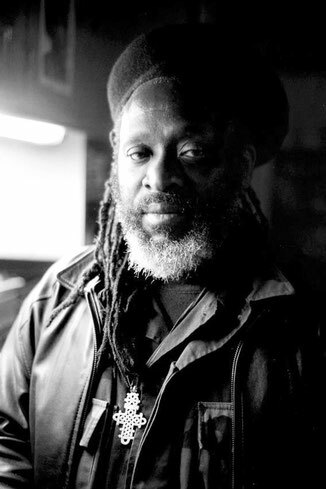 At this time he figures in the documentary Word, Sound and Power about reggae music and the Soul Syndicate band whose Earl Zero is working with. He can be seen singing with the band, live, his "None shall escape the judgment" composition and some other bonus songs in acoustic. After 1979, he relocate in California where he continues to record music. In 2011, Roots Vibes have asked him to record on our riddim, it's now a pleasure to introduce to you the 12" single "Go to Zion". It will be release on 8th december and features a discomix version. The "Sunday afternoon" riddim is a composition of Mr Haze and Saymon from the S.O.A. which is played by an allstar band composed of Sons of Africa and City Kay members. The recording of the music was done "one shot" in a sunny recording room and it was the first meeting for some of the musicians. Everything on a Springy sunday afternoon...We hope you'll can feel that vibe in Earl Zero's magical voice.